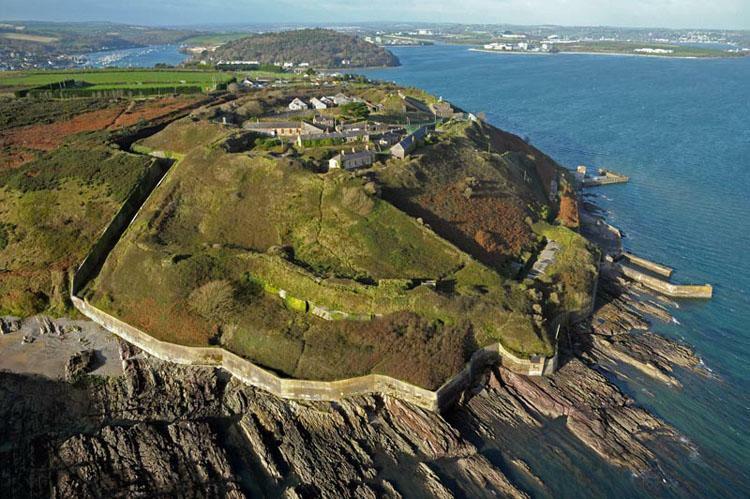 Fort Meagher is positioned on Rams Head near Crosshaven, covering the entrance of Cork Harbour with Fort Davis opposite. It was one of four fortifications built in the late 1800's and early 1900's to protect Cork Harbour. Prior to the end of British occupation of the 26 counties, it was known as Fort Camden. By virtue of Cork Harbour being a Treaty Port (retained by the British after the independence of the present Irish state), it remained occupied by British Military Forces until July 1938 when control was handed over to the Irish State and the Irish Defence Forces. A brief note on Thomas Francis Meagher. Thomas Francis Meagher who became known as “Meagher Of The Sword” was born in Waterford, Ireland in 1823. He was educated by the Jesuits in Clongowes Wood College, County Kildare, where, at an early age he displayed oratorical skills that were to become a hallmark of his career. He later studied under other Jesuits at Stonyhurst College, in Lancashire, England, where he completed his education in 1843. He joined Daniel O' Connell’s Repeal movement in the early 1840’s where his oratorical skills were used to make the case for a sovereign Ireland. He was compared favorably with Wolfe Tone and Robert Emmet. In 1846, Meagher made his first speech on a crowded political platform, in Conciliation Hall in Dublin. His speech made a lasting impression on Young Irelander, William Smith O’ Brien who chaired the event. When the 'peace resolutions' were introduced, Meagher was expected to subscribe to the doctrine that the use of arms was at all times unjustifiable and immoral, a doctrine he abhorred. Instead, he delivered a speech that has never been surpassed for its brilliancy and lyrical grandeur. The following brief excerpt from that speech shows why he was called "Meagher of the Sword,". In April, Thomas Francis Meagher, the Young Ireland leader, brought a tricolour of orange, white and green from Paris and presented it to a Dublin meeting. John Mitchel, referring to it, said: ‘I hope to see that flag one day waving, as our national banner’. In 1849 he made two anti-Union speeches that were transcribed by English agents. As a consequence he was arrested, charged with treason and sentenced to be hung, drawn and quartered. His body was to be disposed of as determined by the English queen. The colonial governor of Ireland exercised the option of transportation, and on the 29th July 1849, he, with O'Brien, McManus, and O'Donohue was sent to Van Diemen's Land (Tasmania), Australia. Early in 1852 he escaped from Tasmania and arrived in New York in late May via San Francisco. He soon became a popular lecturer, and in 1853 published a volume of his speeches on "The Legislative Independence of Ireland." He traveled a great deal during that period and drew large crowds to hear him speak for the cause of Irish freedom. Meagher was admitted to the New York Bar in 1855. In 1856, together with John Savage he started the "Irish News", which continued publication for several years. At the onset of the civil war in 1861, he choose to support the Union cause and raised a company of "Irish Zouaves" for the 69th N.Y. Regiment. At the first battle of Bull Run he served as acting Major of the regiment and led his men in battle with characteristic gallantry. He next organized the Irish Brigade, raising over 7,000 men. In November of 1861 he left New York for Washington with the first regiment of the Irish Brigade; other regiments followed in rapid succession. In 1862, he was appointed Brigadier General. Meagher's Irish Brigade went on to distinguish itself at Mechanicsville, Fair Oaks, Peach Orchard, Malvern Hill and later at Antietam. Here in Western Maryland, Meagher's Brigade of five regiments approached a well-protected Confederate force in a lane bordered with a stone wall, triggering a fierce engagement that left hundreds of dead and wounded on both sides, giving the scene its memorable name, The Bloody Lane. One observer described the Irish troops, with green flags flying (made by Tiffany, using embroidered ancient Fenian and Gaelic mottoes, and even today on view at the Armory on Lexington Avenue in New York), comparing them as if a brigade on parade, with bayonets fixed, in serried ranks and closing in on the Confederates, their purpose to insert themselves between the men of the brilliant Stonewall Jackson and the gallant campaigners of General Longstreet. Even under fire, the Irish were halted by General Meagher to allow a few solemn moments permitting their immortal Chaplain William Corby of Notre Dame to bless his men. About 30 percent of Meagher's gallant brigade would fall that day, dead or wounded. The last four of the hastily-buried warriors were accidentally found and exhumed for a formal burial in 1994 at the adjacent military cemetery. In 1997 Antietam's last war memorial was finally installed, honoring the Irish Brigade, with a fine bas-relief bronze image of Meagher looking out upon the fields where his faithful fighting men gained immortal fame for American arms. After the war ended he was appointed Secretary then later Acting Governor of Montana. On July 1st, 1867 Meagher of the Sword was drowned under mysterious circumstances in the night when he was traveling aboard the steamer Thompson, on the Missouri River opposite Fort Benton. IN THAT PATH, I CAN READ NO COWARD'S EPITAPH." FROM SPEECH ON THE TRANSPORTATION OF MITCHELL, 1848. THIS: HE GAVE ALL, LOST ALL FOR THE LAND OF HIS BIRTH.